God has a great destiny for you and no Demon in hell can stop it! But you need to know your rights as a Kingdom Child. 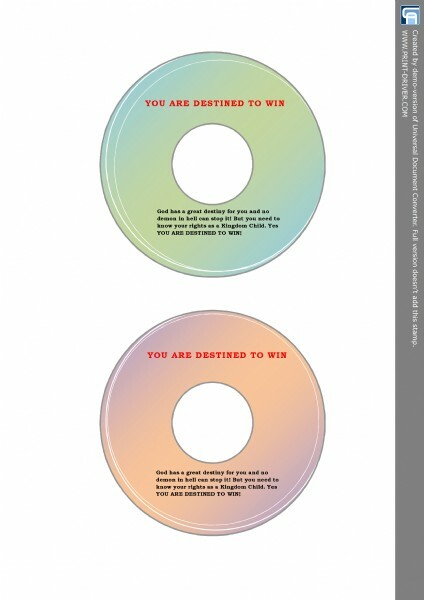 Yes YOU ARE DESTINED TO WIN! This CD will bless you!